Small-scale Technology Certificates (STCs) are a financial incentive to encourage the installation of solar and heat pump water heaters under a Federal Government operated scheme. 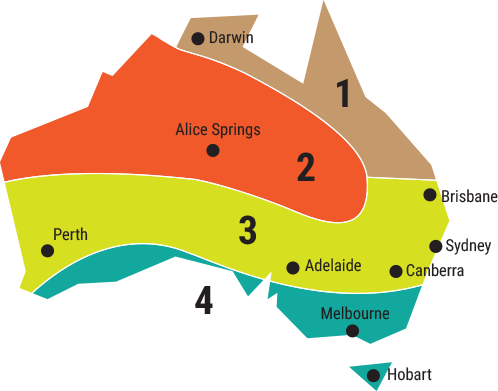 STCs are available for solar & heat pump installations in every state of Australia. One STC is equivalent to a megawatt hour per year (MWh/yr) of electricity displaced by an eligible system. Solar and heat pump water heaters predominantly use 'clean' renewable energy to heat water, thereby displacing the use of electricity. How many STCs am I eligible for? Each solar or heat pump system is eligible for a different number of STCs, which relates to the systems' capacity, efficiency and installation location. Enter your post code in the Rebate Register to find out how many STCs a Rheem solar or heat pump is eligible for at your home. Claiming your STCs is easy. At the time of installation, simply complete a STC assignment form with your plumber and return this to Rheem. DISCLAIMER: Information contained in this site is based on publicly available data from Government authorities, and is provided as a guide only. All rebate and incentive schemes are subject to change, and require strict eligibility conditions to be met. STC values are nominal and are subject to change due to market fluctuations. Rheem reserves the right at its own discretion to refuse multiple assignment requests. Rheem advises to check full program terms and conditions with the relevant Government department or authority prior to purchasing a product for which you intend to claim a rebate(s). Rheem will not be held responsible for any cost, loss or damage incurred due to reliance upon the information contained in this site should such information be incorrect or contain an error. This page last updated as at 17th August 2018.